An electronic Advance Release Copy of this book was provided by the author, Trisha Leigh, in exchange for an honest review. Thank you, Trisha! A final battle for the survival of Earth is coming. Between the alien Others and the destruction of humanity stand four Dissidents. When the Prime Other banishes them to the Harvest Site to live the remainder of their time on earth as slaves, the Dissidents use the opportunity to learn more about the substance that keeps the Others alive…and how they might use it to their advantage. But the Others guard their secrets well, and the Prime Other has proven his willingness to do whatever’s necessary to secure a future for his race, no matter what or who is destroyed in the process. When Althea and the boys realize their lives could be the key to allowing another planet to suffer the same fate as earth, they promise they’ll die before they let that happen. If they can’t figure out how to turn the tables in their favor before the Summer Celebration, they might have to do just that. The end draws near, and there’s only one question left—are the Dissidents going to save their chosen people or perish alongside them? After three stellar previous installments, The Last Year Saga finds its end in a spectacular conclusion: Summer Ruins. Author Trisha Leigh carefully crafts an Earth much different than the one we know, where aliens known as the Others have taken over our planet. Our environmental resources spent not long before the new race arrives, the Others managed to rebalance the climate of Earth and also restructure not only the government, the nations, and the use of the planet’s resources, but the minds of the inhabitants, who immediately become drones and whose minds are veiled to the reality of their condition. Many eventually become slaves who will extract a resource from Earth that is vital the survival of the Others, whose presence is actually zapping life from the planet with every day that passes. 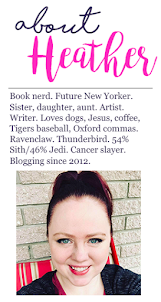 More impressive than the world she creates is Trisha Leigh’s development of characters who are fascinating and easy to relate to for her audience. Their lives – and relationships – bring color and humanity back to the Others’ black and white world. Over the course of the series, I’ve had the pleasure of getting to know cast of characters of The Last Year. The main characters, Pax, Lucas, Deshi, and narrator Althea, known as Dissidents, have begun the process of uncovering who they are – both human and Other – and trying to decipher what that means for their lives and their responsibilities. Each Dissident is a child of a human and one of the Others known as the Elements, those aliens who have the ability to regulate the temperature of a plane. The Elements insure the continued extraction of praseodymium, the chemical element that brings their body temperature down so that they can continue to survive. When we last left the Dissidents, Pax, Lucas, and Althea, incomplete without their fourth, Deshi, had descended upon what is known as the, Underground Core at the former Mount Rushmore. Fooled into an attempt at rescuing Deshi, who has defected from the Dissidents after feeling as though they had largely ignored and abandoned him, they soon find themselves imprisoned and at the mercy of the Prime Other – the leader of the alien race and humans on Earth. Left behind are forty "unveiled" teenagers, stationed at a secret cabin, researching the element that Others seek to harvest from Earth. Deshi is treated as though he is a part of the Prime Other’s family and bonds with the Prime’s son, Zakej, who becomes like a brother to him. He is instructed never to talk to or listen to any of the Dissidents. While Lucas and Pax remain in a holding cell, Althea finds herself separated from them in a dark, dirty prison where the Others can keep a close eye on her. Despite his instructions to do absolutely otherwise, Deshi cannot contain his curiosity about the Dissidents and begins prodding Althea for information and slowly developing sense of trust. When the Prime Other returns with every intention of killing the three Dissidents, Deshi convinces them to put them to work on Earth at the Harvest Site, reasoning that if any of the Elements were to die (or try to commit suicide as Apa, Lucas’s father, once did), the Dissidents have the same ability to sustain the environment. Once entering the Harvest Site, the Dissidents find many of their formerly Broken friends living in and working as slaves for the Others, including Leah and Emmy, as well as Reese. Gradually, they develop a plan to escape the Others clutches and to figure out what it is about the substance that helps the others to survive and possibly create an altered version that would put the Others at a physical disadvantage and allow them the chance to regain control of Earth. The Dissidents escape the clutches of death many times, but not without losses. In the end, many die, including their host families, as well as a majority of their human friends who helped them discover the uses of praseodymium and the altered substance. The Sidhe Greer loses Nat, her true love and an Other, and then her brother, Griffin. Once defeated, the Others leave the planet guided by the Elements and with a recipe for the synthetic injection that they need to survive. Earth’s population is dwindled to 15,000. But lead by Mr. Morgan, Althea’s host father in Danbury, CT, and several other host parents and the Dissidents, the new leadership sets forth plans to restore Earth to its former glory, but in a more environmentally and socially aware way. They say that you know how a book (or series) is good when you reach the end and feel as though you’ve lost friends. That’s how I feel about The Last Year and its final installment, Summer Ruins. I enjoyed every minute, but when the last few pages approached, I felt extremely. The YA dystopian/post-apocalyptic world is littered these days. The field is populated by book after book looking to capture the magic of authors like Veronica Roth (Divergent Trilogy) and Suzanne Collins (The Hunger Games Trilogy). After a while, they can start to blend together and it’s hard to find a series that doesn’t seem like it’s trying too hard to be those popular books, as opposed to striking out with your own unique idea and putting a fresh spin on it. Trisha Leigh absolutely succeeds in this area. Wound together cleverly a thread of eerie sci-fi, a touch of mythology, and even a little bit of magic, The Last Year sets itself apart from the crowded pack and joins literary powerhouses like Collins, Roth, Lauren Oliver (Delirium Trilogy), and Ally Condie (Matched Trilogy) – it even transcends beyond a few of them. 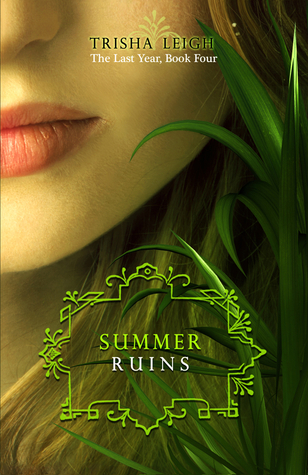 Summer Ruins is an excellent final chapter, answering every question, sewing up loose ends, and tapping into reality of revolutions – that they don’t come without a price. Part of what makes The Last Year series so successful is the author’s attention to detail. One part chemistry, one part history, and two parts mystery, nothing in this series has gone un-researched. In every book, new historical elements are revealed to the characters. From literature, to Wild Bill Hickok, to the JFK Memorial Plaza in Dallas and the clever use of Southern Methodist University as a final setting for the Dissidents and their revolutionary friends to educate themselves and discover the roots of the Others, readers can enjoy learning about the U.S., deciphering the mysteries and history, and revel in the things we take for granted. Summer Ruins was a perfect conclusion to Trisha Leigh’s debut series. Reaching the end was nothing short of heartbreaking. Having been hooked on the series since its debut, I do feel once again as though I’ve lost a few good friends when finished the last page. Being allowed the opportunity to review it before its release was the highest of honors. And reading this wonderful book (and series) was nothing short of an amazing experience.